Fill in your details below and we will let you know within 24 hours if we can get Underwater Cities to you with haste! 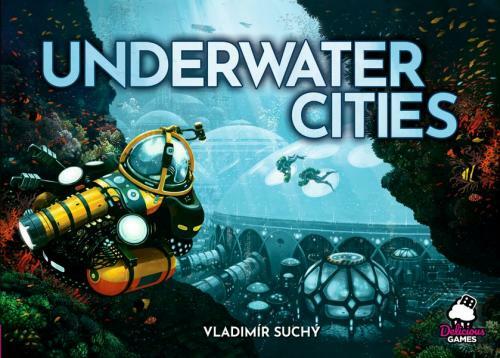 In Underwater Cities, by Vladmir Suchy (designer of Last Will and Pulsar 2849), the players build and develop underwater metropolises by constructing kelp farms, desalination plants, laboratories, and tunnels to connect them. The heart of the game is a clever mechanism using a combination of action slots and development cards. The players.take-turns playing cards into action slots; sometimes for the action of the slot, sometimes for the action of the cards. If played strategically, the players can receive a bonus for the card matching the slot. Balancing these strategic choices is the key to building the best underwater habitat, allowing humanity to thrive.